Our knowledgeable interior design consultants stand ready to assist you with selections of Benjamin Moore’s colors for any or all rooms in your home. Your home should be an expression of you and display your style and persona because above everything else, it is the one place on earth that is yours. While furniture and décor are huge elements of your home, colors are what can make or break an atmosphere. 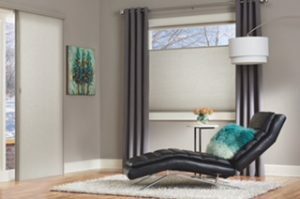 You’ll find the perfect window treatments, wallcoverings and fabrics to choose from with expert advice. 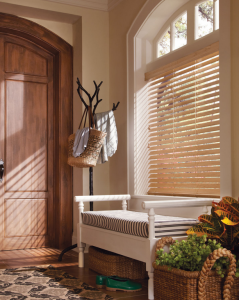 From roman shades to custom drapery, Columbia Paint will help you create the perfect window treatments to tie the whole room together. 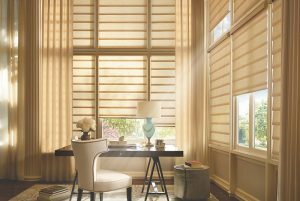 We offer custom window treatment design with a full-scale fabric library in our showroom. 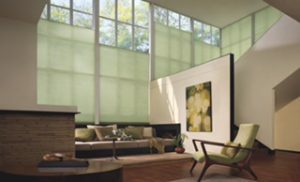 We offer many manufacturers including Hunter Douglas, Graber, and Kirsch. Schedule an appointment with our design consultant today. Wallpaper is available for both residential and commercial wallpaper applications. Columbia Paint has access to some of the finest wallpaper design houses including industry leaders such as Thibaut, Brewster and York in hundreds of styles and colors. Remember our interior design service stands ready to help you! Call 443-319-4001 to schedule an appointment. Ever have difficulty matching plaids fabrics with floral fabrics? Our interior designer will help you find the perfect coordinating fabrics to match any mood or style you have in mind for your office or home. 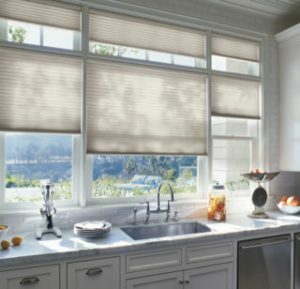 We carry a large selection of fabric for your residential and commercial decorating projects. Our goal is to provide customers with courteous and knowledgeable service each and every time our interior decorating consultants visit with you.